It comes with a lore reserved only for the country's top sporting events. The Super Bowl, Major League Baseball's Opening Day, Sunday of the Masters, Daytona 500, NBA Christmas, the Kentucky Derby - Reno Aces Home Opener. Okay, one may not be like the others. But we have seen some pretty cool things over the years. Before the first pitch is thrown Tuesday, let's review some notable moments from Opening Day at Greater Nevada Field. April 5, 2018: W, 10-2 vs. Fresno Grizzlies: First baseman, Christian Walker, became the first Aces player to hit a home run on back-to-back home openers. A five-run second inning is the highest single scoring inning in a home opener in team history. April 11, 2017: W, 4-3 vs. Albuquerque Isotopes: 2 hours and 35 minutes, the quickest home opener in team history. Second baseman, Ildemaro Vargas, put the Aces ahead with an eighth inning sacrifice fly scoring Kristopher Negron to break a 3-3 tie. April 7, 2016: W, 8-0 vs. El Paso Chihuahuas: RHP Archie Bradley went six scoreless innings striking out seven while allowing two hits. The victory was the only shutout thrown in a home opener in team history. Shortstop, Jack Reinheimer, went 3-for-5 with a home run and four RBIs tying a home opener record. April 17, 2015: L, 2-11 vs. Albuquerque Isotopes: Isotopes' first baseman, Ben Paulsen, went 4-for-4 with three RBIs and three runs scored. April 3, 2014: L, 5-7 vs. El Paso Chihuahuas: Aces pitching gave up 17 hits this day, the most for a home opener. 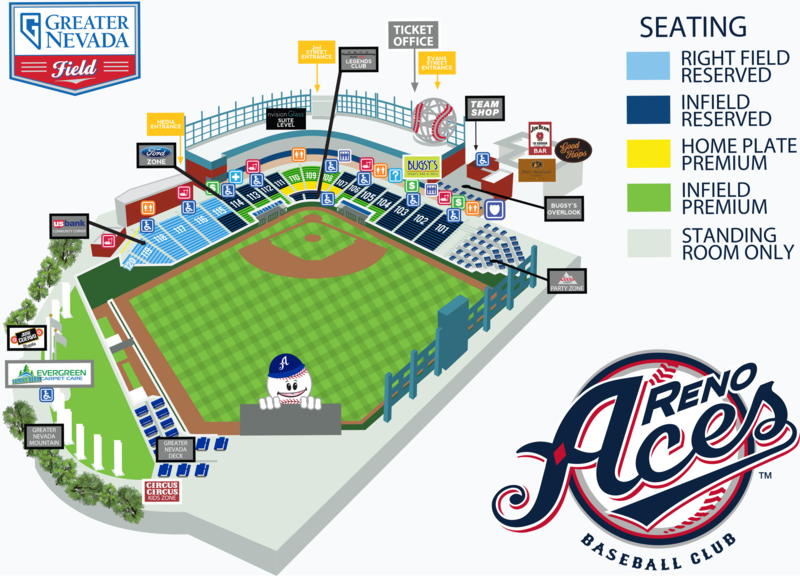 April 12, 2013: L, 8-16 vs. Sacramento River Cats: The Aces suffered their first loss in a home opener on this day. Designated hitter, Didi Gregorius, went 3-for-5 for the Aces including a first inning home run. River Cats' right fielder, Michael Taylor, shined the brightest though going 3-for-4 with a double, five RBIs and two runs scored. April 5, 2012: W, 5-2 vs. Colorado Springs Sky Sox: The Aces win solidified the team's longest winning streak on home openers at four. Future Arizona Diamondbacks' All-Star A.J. Pollack, started in center field that day going 2-for-3 with a double, an RBI, and a run scored. 35 degrees with a 12 MPH crosswind, the coldest home opener in team history. April 15, 2011: W, 9-6 vs. Colorado Springs Sky Sox: Catcher, Konrad Schmidt, would double home Micah Owings to break a 6-6 tie in the bottom of the eighth inning. RHP Rafael Rodríguez recorded the first home opener save for the Aces in team history. Future Colorado Rockies' All-Star, Charlie Blackman, played right field for the Sky Sox that day going 3-for-5 with a triple and two RBIs. April 8, 2010: W, 5-4 (F12) vs. Fresno Grizzlies: Future World Series Champion, Buster Posey, got the start behind the plate for the Grizzlies that day but it would be the Aces who would steal the show in this one. Left Fielder, Jeff Baily, homered in the bottom of the first becoming the first Ace to hit a home run in a home opener. RHP Kevin Mulvey threw 6.1 innings that day giving up just two earned runs, the longest outing for a starter in team history. He would also add a double offensively becoming the only Aces pitcher to ever double in a home opener. The game would end up going 12 innings becoming the only contest to reach extra innings in a home opener. Shortstop, Yunesky Sanchez , ended up singling home first baseman Brandon Allen to complete the walk-off win in the bottom of the twelfth. April 17, 2009: W, 11-1 vs. Salt Lake Bees: Left fielder, Brandon Watson, led-off the game with a single becoming the first Aces player to record a hit at Greater Nevada Field. Right Fielder, Trent Oeltjen , later singled home Watson to record the first RBI at home for the team. He finished the day with four RBIs, giving him the franchise record for RBIs in a home opener. 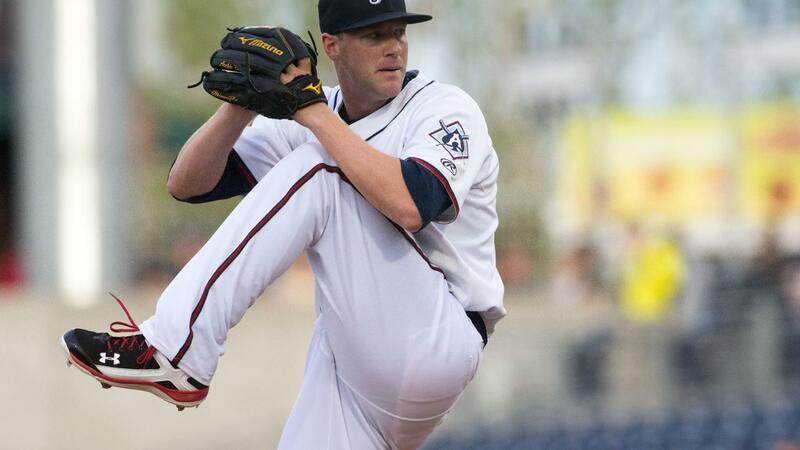 RHP Josh Ellis would pick up the win out of the bullpen for the first victory at home in Aces history.